The Kentucky Regional Extension Center (Kentucky REC) serves as a trusted advisor to health care organizations, clinicians and leaders, helping them to manage the complex and changing world of health care. A part of the outreach mission of the University of Kentucky and UK HealthCare, the Kentucky REC specializes in providing guidance and support on technology innovation, performance improvement and health care transformation for health care organizations across the Commonwealth of Kentucky, including large health systems, rural and Critical Access Hospitals, and physician practices of all sizes. Our experts operate as regional and local experts that know their communities and the diverse needs of clinicians, administrators and staff. The Kentucky REC employs subject matter experts in Meaningful Use, MACRA and Value Based Payment, quality improvement, Patient-Centered Medical Home and Specialty Practice, and HIPAA. 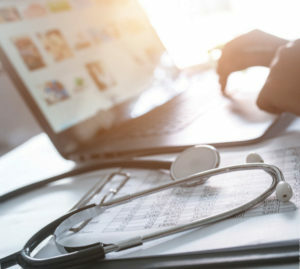 Our team helps healthcare organizations comply with the changing state and federal regulations and supports clinicians and staff with innovative ways to better serve their patients. Has helped bring over $120 million in Meaningful Use incentive dollars to providers throughout the state. Supports a third of all Kentucky hospitals and health systems with Meaningful Use, HIPAA, and other regulatory initiatives. Works with more than 95% of the Federally Qualified Health Centers (FQHCs) and Rural Health Clinics (RHCs) within Kentucky. Is helping more than 3,500 individual primary care providers and specialists in more than 600 provider locations remain in compliance with changing federal regulations. Has provided a Security Risk Analysis for more than 200 organizations with multiple locations across the Commonwealth of Kentucky. To provide a comprehensive set of transformation services focusing on the specific needs of healthcare providers. To be THE trusted advisor and strategic partner for healthcare providers in their efforts to improve the quality of patient care, reduce the cost of delivering healthcare, and improve the overall health and well-being of the Commonwealth and beyond.